What Will Be the Breakthrough of the City Transport? Airwheel Intelligent Scooter. Abstract: There is an inherent desire of every newborn baby—walking. When human beings are able to walk, they are surprised by this colorful world. To go somewhere farther and more conveniently, more and more transport means have been invented and adopted to daily life. However, the traditional transportation can’t meet people’s need. What will be the next breakthrough of the city transport? Airwheel intelligent scooter. For years citizens have suffered the severe transportation problem, because more and more people are rushing into cities and buying private vehicles. The traffic congestion and air pollution make the colorful city lives fall into the shade. Therefore, people are waiting for a big breakthrough in transport industry. Airwheel scooter will give people a clear answer. Airwheel, as the first company which opens the mass market, provides everyone a compact, agile, eco-friendly, convenient and affordable choice of locomotion. 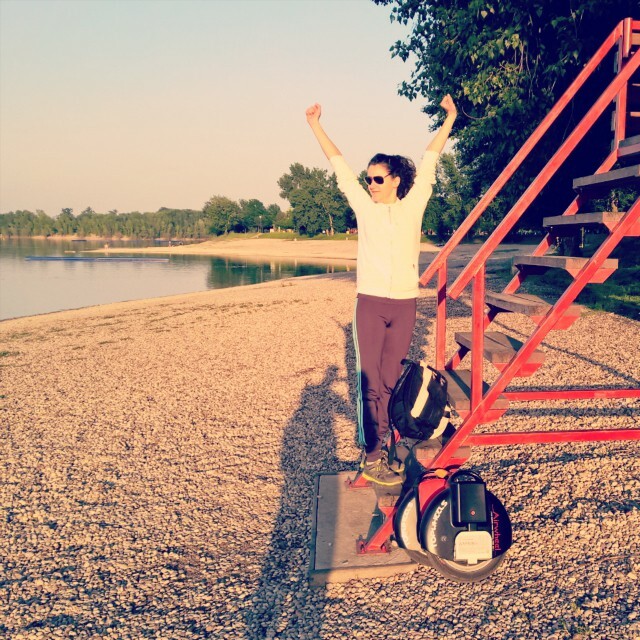 Because of these design ideas, Airwheel wins the applause and love of many citizens. Among the Airwheel family, Airwheel S5, is the newest model of the two-wheeled intelligent scooter series, which have the most powerful motors and the 16-inch hubs. Thanks to S5’s 1500w updated motor, one can conquer any terrains smoothly, including passing the rugged terrain and going up and down the steps. The most shining part of Airwheel S5 is its wheel. 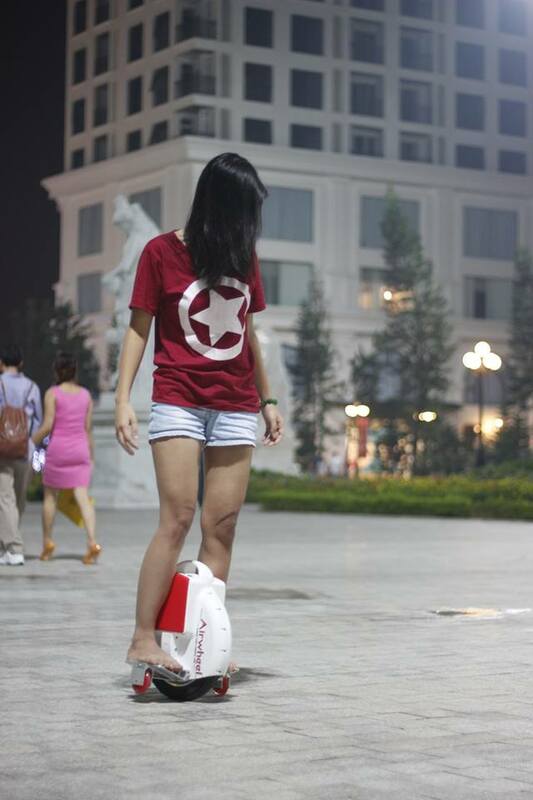 Airwheel continues to use the Cheng Shin tyre, which is the top wheel brand in China, but its size is 16 inches. The larger the wheel, the more stable and comfortable the scooter. Also, Airwheel S5’s wheel is wider than others, which is more abrasion resistant and easier to radiate heat and drain off water. Besides, there is a brand new series—Airwheel A series. A3 is the first product that adopts the original riding-posture model. The reason why Airwheel adds the saddle to A3 is to make the long-distance trip possible, which meets the need of the city traveling. The standing-posture ridding mode limits the riding distance and can’t satisfy the need of city transportation, because it is easy to make the user tired. However, A3 perfectly solves this problem. Airwheel self-balancing electric scooter brings the biggest breakthrough to the city transport, and has a bright and promising future. Let’s choose Airwheel!